Where Are They Now? Tony Dow from "Leave It to Beaver"
Boomer catches up with Tony Dow. 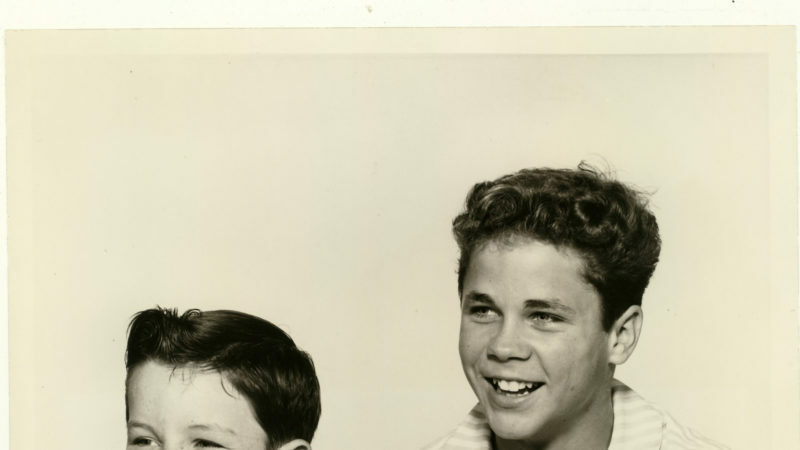 Forever famous as “Wally,” Beaver’s likable elder brother on TV’s Leave It to Beaver, Tony Dow admits he never watched the hit series during its 1957-63 run. “The producers, who were the writers, asked us not to watch it. They didn’t want us to get a big head,” Dow explains. Dow was an accidental actor. A swimmer and diving champion, he was asked by a pool lifeguard to go on an audition. The lifeguard lost the part, but Dow won a TV pilot role. The pilot fizzled, but Dow got an agent and auditioned for Beaver. The rest is history. The show was set in fictional Mayfield, a middle-class town of stay-at-home moms and kids who acted like kids. Show-biz magazineVariety compared the show to Mark Twain’s Tom Sawyer. Beaver was the centerpiece in the series’ early years, while later seasons highlighted Wally more, overseen by nurturing parents Ward and June. 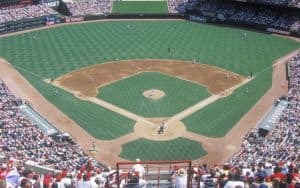 One reviewer called Wally “the older brother we all wish we had.” Kid slang like “giving you the business” (one character teasing another) abounded, but Beaverhad tinges of seriousness, with shows addressing alcoholism and divorce. In reruns since the late 1960s and on DVD, Beaver’s popularity endures with weekday airings on ME-TV. Post-Beaver, Dow served in the National Guard, acted, directed and did visual effects work. 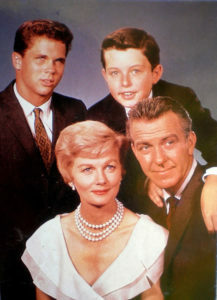 A TV movie, Still The Beaver (1983), spawned The New Leave It to Beaver series (1984-89), with Dow, Mathers, Barbara Billingsley (widowed mother June), Frank Bank (Lumpy) and Ken Osmond (Eddie) reprising their iconic roles in grown-up versions. But more than a decade ago, Dow, who began painting and sculpting as a teenager, had an epiphany of sorts. A 28-year-old executive interviewing him for a directing gig asked if he’d ever done comedy. 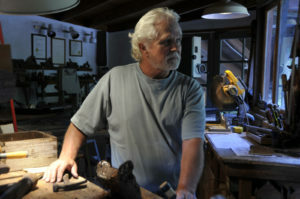 Using fallen burl wood he finds near his Topanga, Calif., home studio, Dow creates bronzes that can take 30 hours to complete. His passion and hard work paid off in 2008 when two of his sculptures were exhibited at the Louvre in Paris. Dow creates pieces on commission, and his work is represented by two galleries, including DeBilzan Gallery in Laguna Beach, Calif. “His art has been very well-received,” says Deborah DeBilzan, adding that bronzes sell for $4,500-$12,000 and mixed-media pieces begin at $2,000. 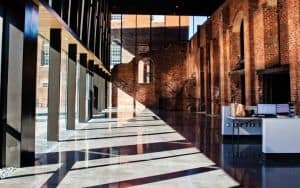 “I started out with a hammer, chisel and drill. Now I have all this sophisticated equipment and it’s harder,” Dow says with a laugh.